Like Kurt Carr, Myron Butler has carved out a niche for himself in the popular Praise & Worship category of black sacred music. His albums offer praise teams a bounty of songs to digest just as the Thompson Community Singers, a group whose work Butler absorbed as intently as that of Thomas Whitfield, offered directors new gems to teach their church choirs. It’s no surprise, then, that energetic P&W cuts predominate on Butler’s new album, On Purpose, which debuted atop the Billboard gospel album chart last month. 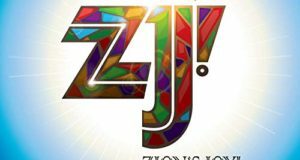 Most notable among the high-octane tracks are the single, “Best Praise,” featuring cameos by Candy West and Amber Bullock; “Heaven’s Rain” with Jonathan Nelson, and “Nobody Like Our God.” Tamela Mann and Bishop T. D. Jakes lend their resonant vocals to the title track. As is common in P&W, the more energetic the songs, the more the emphasis on vigor over melody and texture. On the other hand, the album’s final three selections—“You Call Me,” “Living Water,” and the title track—are balladic and beautiful. They demonstrate how nobly melody and lyric can be wedded to summon the worship sentiment without resorting to aerobic fanfare. “You Call Me” is the strongest of the final three in melody and arrangement, and it is the contribution likely to last the longest in the P&W lexicon. At the same time, the title track (we are formed on purpose for a purpose) contains the most cerebral lyrics on the album. 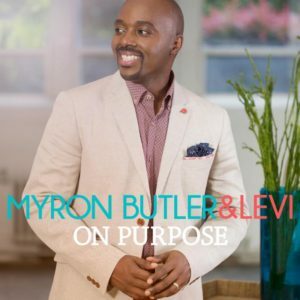 To that point, On Purpose exemplifies the black church’s celebratory mix of praise, worship, love, joy, and gratitude, with Myron Butler’s voice energetic and omnipresent and Levi’s responses tight and professional.